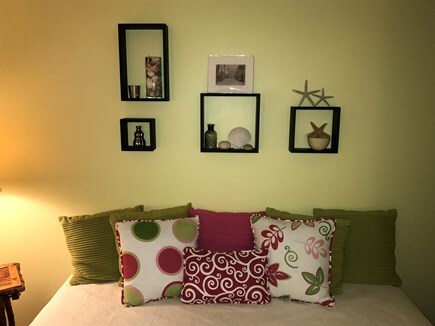 Come stay at our fun and comfortably decorated 3+ bedroom Bayside Cape with central air-conditioning! 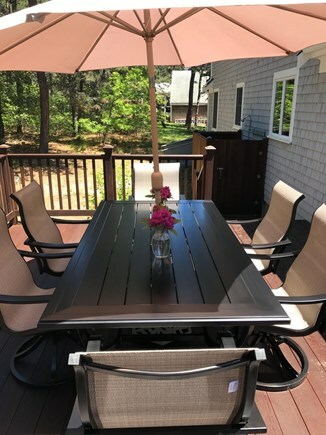 Located on a quiet private road off of Bridge St. 1/4 mile walk to Herring Pond or a short 1 mile bike ride to First Encounter Beach. It's just a 5-minute drive to ''World Famous'' Coast Guard Beach & National Seashore. The Cape Cod Bike Trail entrance is at the end of our road. 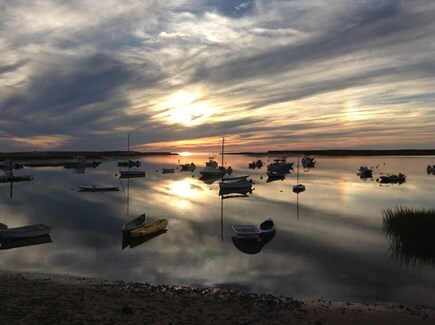 You can Bike to Arnold's, Coast Guard Beach, Salt Pond Visitor Center, or Orleans Center. 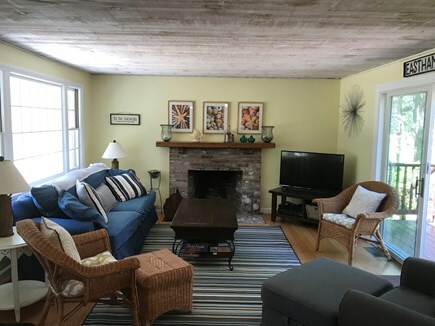 This sunny private home with 2 full baths offers a perfect location for families - Steps to both Herring Pond and the Bike Path. 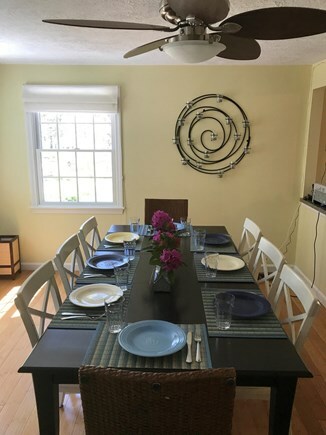 Our home features a large, fully equipped kitchen with breakfast counter, & dining room, which seats 10 comfortably. The living room features a new (2017)LCD digital cable TV and a BluRay DVD player, stereo, & fireplace, with sliders that open to a large Mahogany Deck with gas BBQ grille and new (2017) patio set. 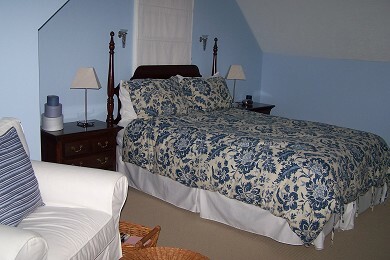 One of the master bedrooms (queen bed & daybed) and a full bathroom are on the 1st floor. Upstairs there are two large bedrooms-a 2nd master bedroom with a queen bed and sitting area & a third bedroom with 2 double beds and a TV & DVD. There is also a 2nd full bath with double vanities. An oversized private outdoor shower complete the house. There is a Kids Play or hangout area in the basement with couches, TV and DVD player and a ping pong table. Washer and Dryer Area is also in the clean basement. We've stayed at this house 3 or 4 times and will very likely stay here again. 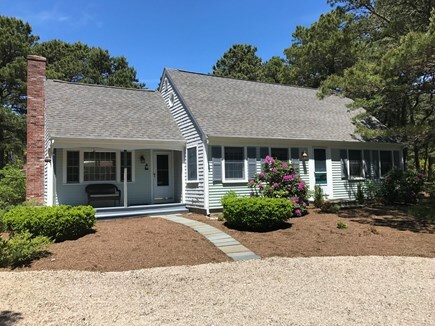 It's perfectly located at the beginning of the National Seashore, a few steps to the Cape Cod Rail Trail, and in a nice quiet neighborhood. Lots of restaurants nearby. 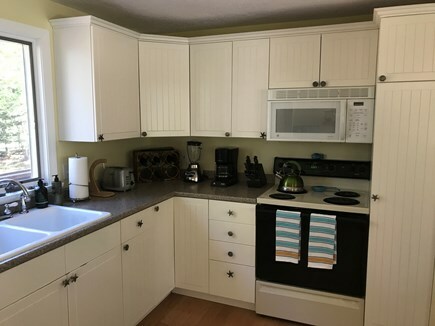 The house is very comfortable and has everything needed- Central Air, outdoor shower, full kitchen, nice quiet deck with grill. Highly recommend this property. Our family stayed here for years. It’s the perfect house and the perfect location! Will rent again!